Please note that you have been shortlisted for this trial and the product will be dispatched to your delivery address in the coming days. Enjoy & click here to review! Please note that the shampoo will be dispatched to your delivery address in the coming days. Thank you for your listings and reviews posted in January 2018. Could you please let us know if you will be interested in testing and reviewing the following product? E:14/01/18, Win a Yves Rocher Moroccan Clay Mask for Face & Hair 100ml, £19.00 RRP! Please note that you have been shortlisted for this trial and the mask will be dispatched to your delivery address in the coming days. Kindly note that a few sachets were dispatched to your delivery address a few days ago. Thank you for updating your account with a delivery address. Could you possibly add your full name at the earliest opportunity? Kindly let us know when it is done! Could you please let us know if you will be interest in testing and reviewing the following product? Thank you for joining our community of beauty reviewers and testers today. Tip#1: Very well done on your 1st reviews! Our visitors are eager on detailed and thoughtful feedback. They are much more enjoyable and popular readings than rushed comments. Tip#2: Review regularly your favourite products to increase your chance of being selected for our monthly giveaways. Tip#3: Do not hesitate to contact Dese for help and support. 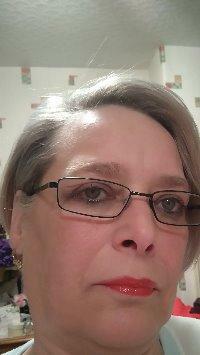 This profile has been viewed by 5 users and 598 guests.